It takes a village… Such an oft used phrase in this short form and used in its entirety argues for the community that is necessary to raise a child. But what this pithy phrase fails to say is why we need this village. A variety of interpretations exist, many people say that children need a group to belong to, they need a slew of different people to teach them about the world and help raise them. They need support in different ways from different people. One or two adults just doesn’t cut it. True, all true. But what I think we fail to understand is that the village is also, and perhaps mainly, for the parent. Giving birth and entering into the wildness of the postpartum period is immense. But so many people, so many women especially, either have to do this alone or feel that they do. We can become paralyzed by our culture of individualism and our pride in independence, taking those values into motherhood where they don’t always serve us well. 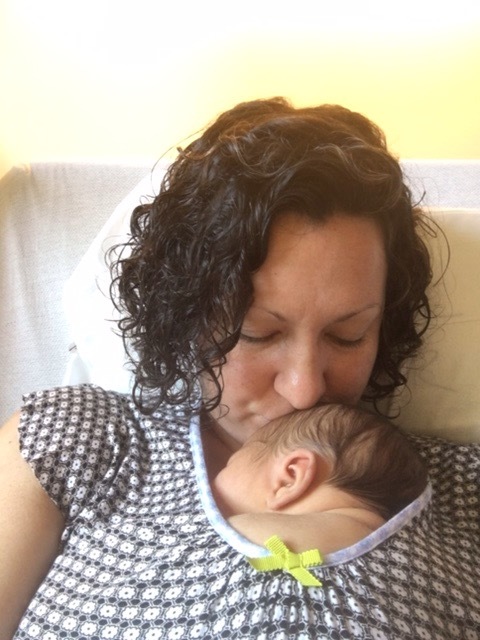 I gave birth to my son just less than 3 weeks ago and until the moment they laid him on my chest, I felt so afraid that I would not be able to handle the relentlessness and strain of motherhood. I doubted if I could really meet his needs and care for him well. But my experience as a new Mama has been surprisingly without fear. I have not once felt afraid because I have not once felt alone. I have been blessed to be surrounded by care and support through Ethan’s birth and in these first weeks postpartum and the gift that has given me is the freedom to make this remarkable transition to motherhood free of fear. As new parents, I am learning that our instincts are one of our greatest resources. But when we are afraid, our instincts are overrun by the noise of our frantic thoughts and we can’t find the voice inside that knows what to do. We become wild and frustrated in this abyss of self-doubt. In many places around the world, mothers feel this inner chaos. In many homes today, mothers do not have the freedom to hear their instincts with so much pressure on them to do it all alone, or with their partner only. It takes a village to raise a child, yes indeed it does. But it takes a village to raise a child, because the village cares for the parents. A new mother (or father) can rest in their embrace, she lets them take care of her, she leans back into their support and she feels held and at peace. And as a result, she takes care of her child. She has more to give him because of what she has been given, she gives him her peace, her love, her attention. The best advice I got before I gave birth was to let people in. And my dear Mama friends, I say this to you too. Please, please invite others into your birth and your postpartum days. Let them come over and coach you, counsel you, cook for you, clean your house, bring your favourite takeout. Let them hold your baby and change his diapers. Let them listen to your heart as it breaks on the tough days, because even in a village motherhood is hard. They are there to hold you so you can keep going ahead, so that you can keep caring for your little love and so that you can be at peace. I have been blessed with an extraordinary “village”. My birth support team with my husband, my doula and my midwife. The healthcare professionals who had to be called in when things didn’t go as planned, the nurses who cared for me in my first days after birth and the surgical team who brought my son into the world. My parents, receiving us into their home, cooking and grocery shopping, doing laundry and holding our baby when we’re tired. My friends, some close and some far away, who check in and offer me their love and support. To my village, my gratitude knows no bounds. I firmly believe that I could not do this without you and it means the world to me that we are in this together. I will continue to lean on you as long as you’ll let me and if my instincts are right, that could quite possibly be for a very long time.